This is a great mantel / shelf or desk clock, made by Bentima, England circa 1960’s. 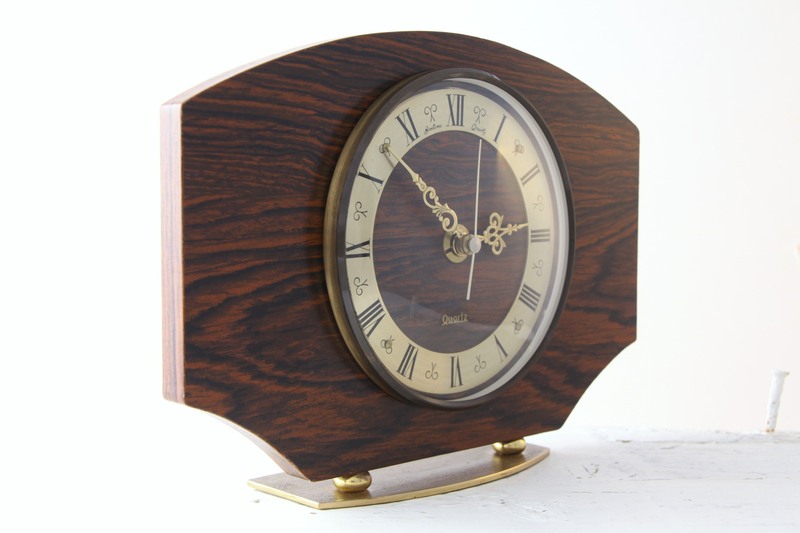 A Fantastic design, the clock sits on a brass base, and has a Rosewood effect Formica face with a brass dial under a glass cover, very reminiscent of the mid century 50’s / 60’s era. 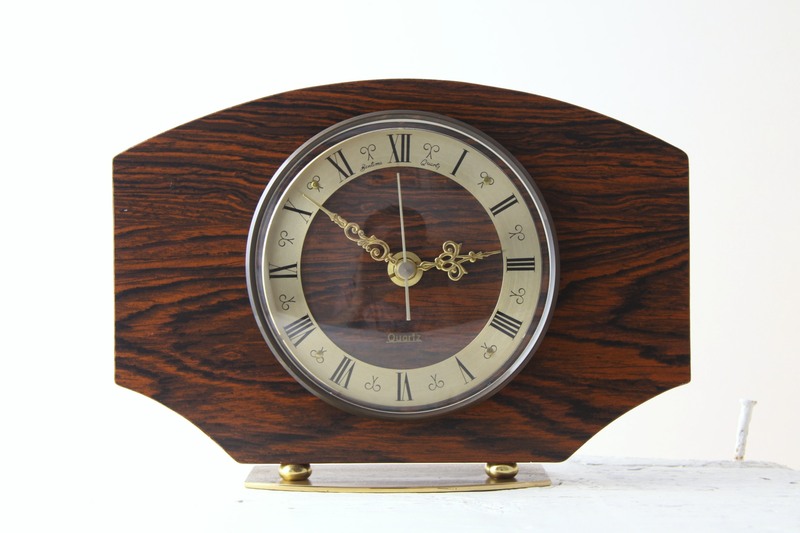 Lovely winged shape, and the classic clock face with Roman Numerals and ornate hands is very easy to read. Would make a Great clock for use on a mantelpiece, shelf or desk, great vintage design to complement any retro, mid century, kitsch, 60’s, Mad Men styled interior. Battery operated (not included) with a reliable quality German Quartz mechanism, keeps great time. In Excellent Condition, a couple of miniscule light marks to the veneer, and a little tarnishing to the brass, nothing to detract on display. Measures 21 x 15 x 5cm / 8.5 x 6 x 2in.